Hi Moms! 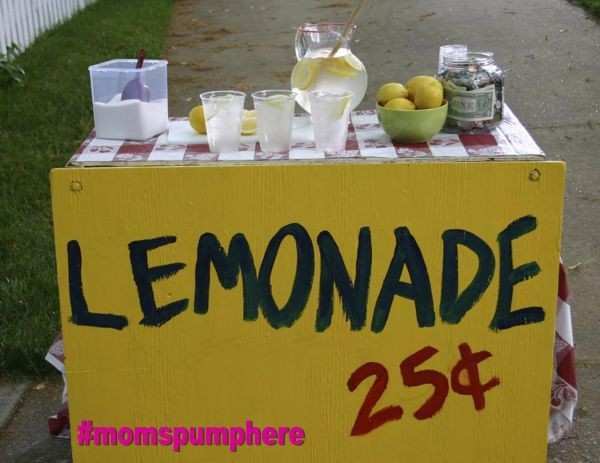 This week one of my son's fulfilled his dream of having a lemonade stand in our neighborhood. (Seriously, he's been dreaming and planning for two years!) Here are some cute quips from his experience - they're definitely worth sharing! Who knew there was so much math involved? It's OK to wait a while for the first person. Fresher is better - nothing from powder over here. Always smile - I can't believe how great it is just to be friendly. And my personal favorite - "Please leave now, mom. Having my mom here is bad for business."